I just love this knife. It is heavy and springs out quick. I got 6 of them and gave them to my friends. You should try this one for sure.! Loved the look of this knife when I saw it. When I received it, I was impressed with the weight and feel of the knife. The blade was sharp right out of the box. It opens fast and with little effort. I still can't believe the price I paid for it. It is definitely worth a lot more. Love this knife and so do the people I have shown it too so I am betting I wont be the only one with this knife in the near future. Awesome Knife! 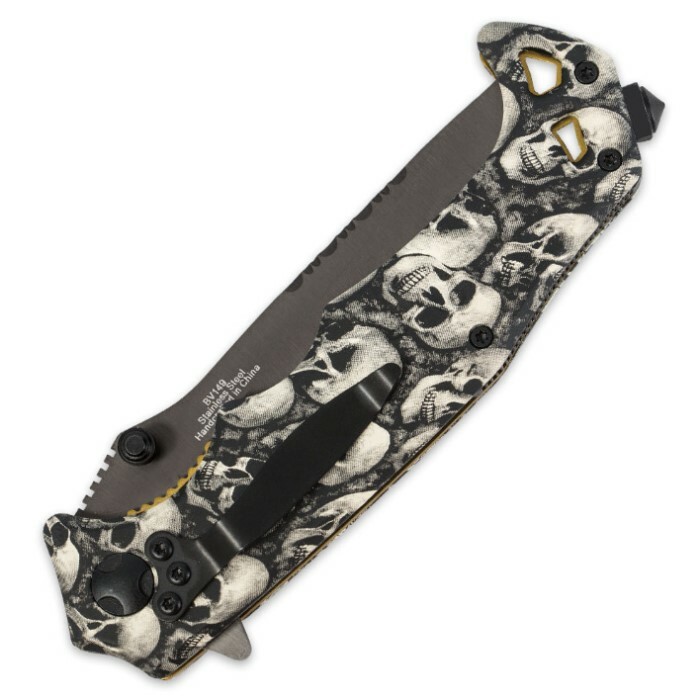 I bought the knife because of the Skull Pattern. love the knife it is very sharp the weight is great and opens with no effort. 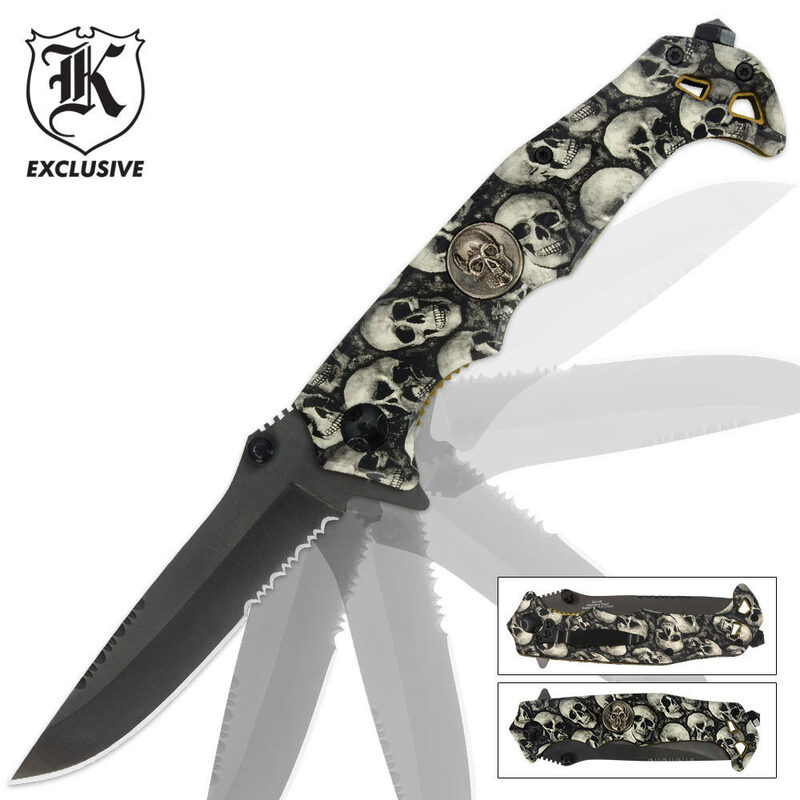 I bought this knife because I liked the skull pattern on it. When I received it I was shocked with the quality of this knife. The blade is sharp and has good thickness. The weight of the handle is great and is nice and thick. The spring assist is very fast and the locking mechanism works flawlessly. This knife should cost 5x as much. Buy one while you can.